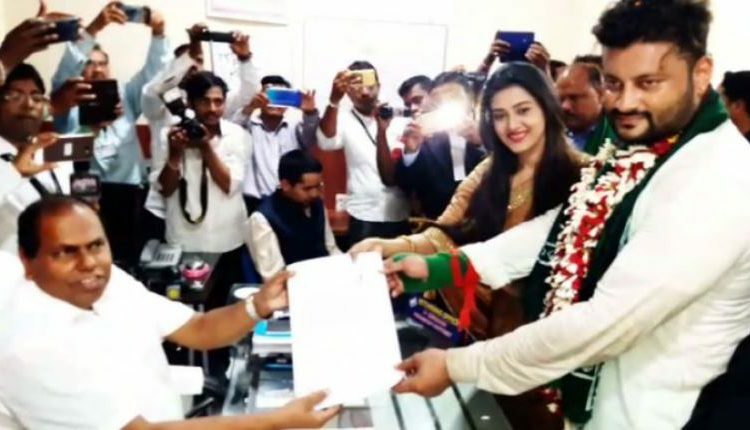 Kendrapara: Biju Janata Dal (BJD)’s Kendrapara Lok Sabha candidate and noted Ollywood cinestar Anubhav Mohanty filed his nomination papers on Tuesday, the last day for the fourth phase election to be held on April 29. Anubhav filed his nominations with the Returning Officer in the presence of some party workers. His wife and Ollywood actress Varsha Priyadarshini also had accompanied him. Before filing his paper, Mohanty held a road show in the district headquarters town along with hundreds of his supporters. Anubhav will fight against BJP national vice-president and former Kendrapara MP Baijayant Panda and Congress candidate and noted lawyer Dharanidhar Nayak. 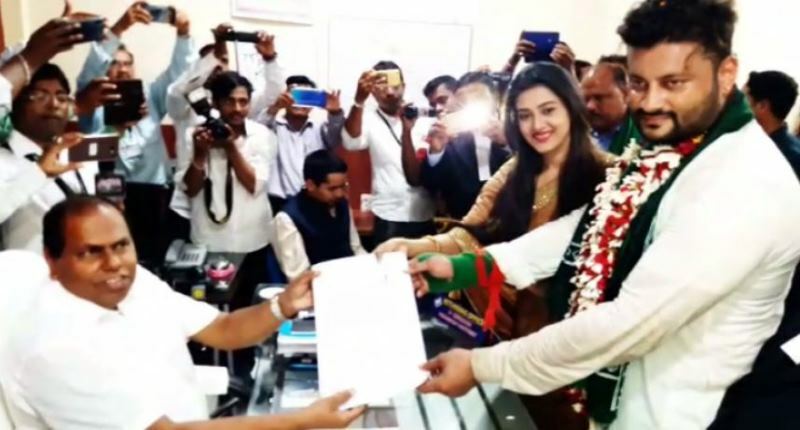 Likewise, Odisha Finance Minister and sitting MLA from Jayadev Assembly constituency Sashi Bhusan Behera also filed his nominations for the Kendrapara Assembly constituency. Earlier yesterday, the state ruling party announced Behera as its candidate for the Kendrapara assembly segment. Kendrapada Lok Sabha seat will go to polls on April 29.